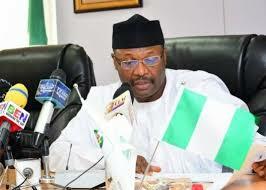 As part of its preparations for the 2019 general elections, the Independent National Electoral Commission in Lagos State on Friday published the notice of elections at its state office, INEC Local Government offices, and state Registration Areas. INEC gave this directive in a statement issued by its spokesperson, Mr. Femi Akinbiyi. “The action is in accordance with the approved deadline for the conduct of the 2019 general elections, as contained in Section 30 of the Electoral Act,’’ Akinbiyi said. Akinbiyi explained that the Act requested the commission to state the date of the election and appoint the place at which nomination papers are to be delivered. He added that the Act also demands that the notice should be published in each constituency in respect of which an election is to be held. NAN reports that both the Presidential and National Assembly elections will hold on Feb. 16, 2019, while the governorship and state Houses of Assembly elections are slated for March 2.